A man managed to scale Trump Tower - Donald Trump's 58-storey presidential campaign headquarters - for almost three hours in a bid to get a meeting with the Republican presidential candidate. 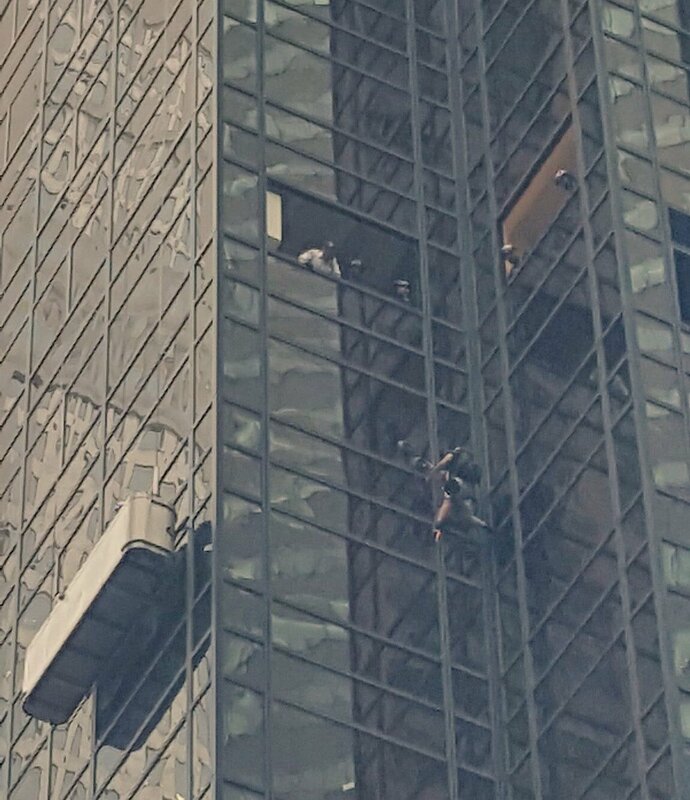 Police eventually ended the spectacle by pulling the 20-year-old, who appeared to be using suction cups and a climbing harness to climb the New York skyscraper, through an open window. Officers had attempted to coax the man off the building for some time on Wednesday, but to no avail. In what appeared to be an attempt to avoid police, the man had shifted his route several times. As safety precautions, police closed several streets near the building in one of Manhattan's busiest areas. They also erected an inflatable landing pad nearby. After removing a window panel, police were able to grab the climber - who had reached the 21st of 58 stories - and pull him back inside the building, a move which was greeted with loud cheers. The man was then wheeled out the building on a stretcher and would undergo psychiatric evaluation and be arrested, according to the New York Police Department. The police added that the climber did not express a desire to harm anyone and said his mission was to get a meeting with Mr Trump.